Excellent views across the bay to Glynn and further up the Larne Coast. Free on street car parking to the front of the property. Close to supermarkets and amenities. Anticipated private and investor demand. Larne is a town located in County Antrim, on the east coast of Northern Ireland, just 22 miles east of Belfast. The town is a port and market town and has an estimated population of just over 30,000. The Coastguard Road is located on a small peninsula at the most southern part of the town. The road houses Larne Care Home, two sets of terraced dwellings, East Antrim Boat Club and the remains of Olderfleet Castle. 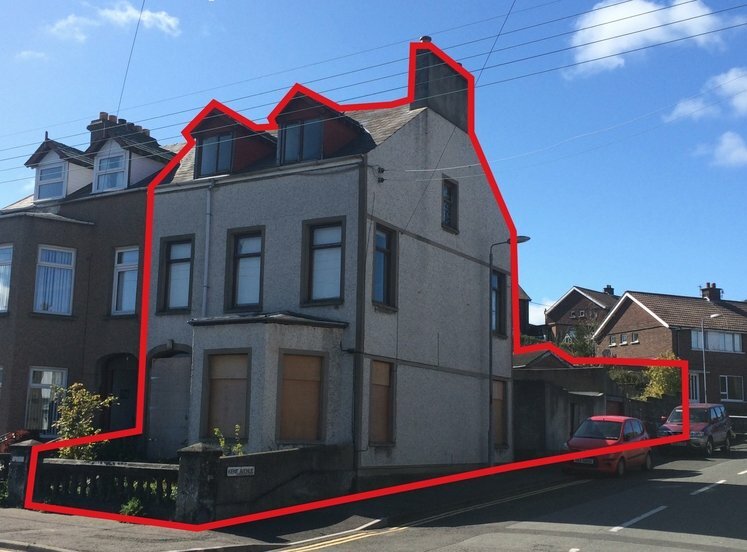 The subject property comprises a mid-terrace, two storey dwelling on the Coastguard Road in Larne. 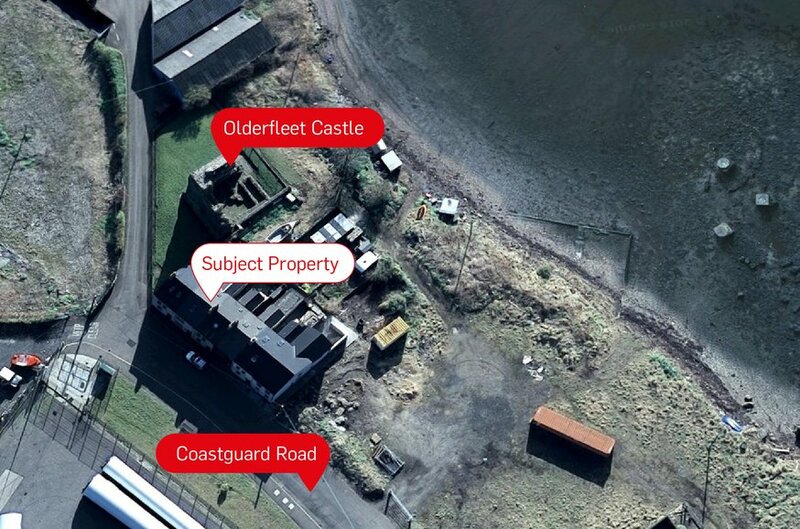 The property is in a terrace of 6 similar dwellings, with gardens to the rear and Coastguard Road ferry terminal to the front. 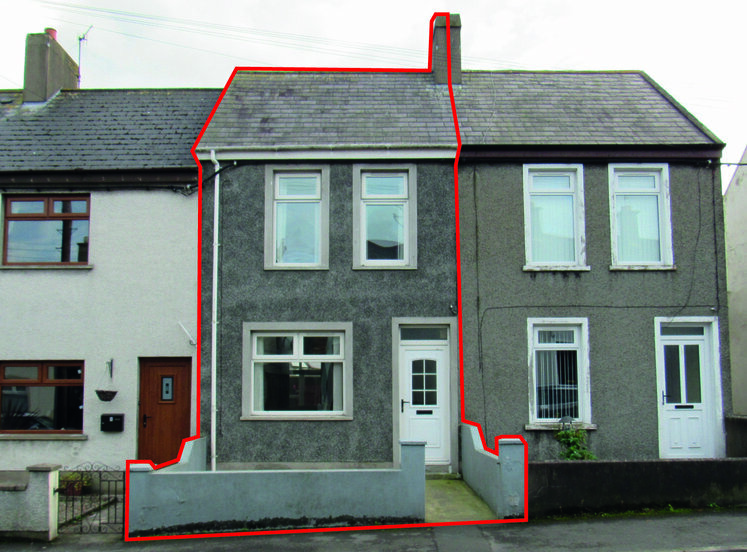 The property benefits from sea views to the front and rear, with a long garden to the rear. The dwelling comprises a large lounge and kitchen at ground floor and two bedrooms and a bathroom at first floor level. 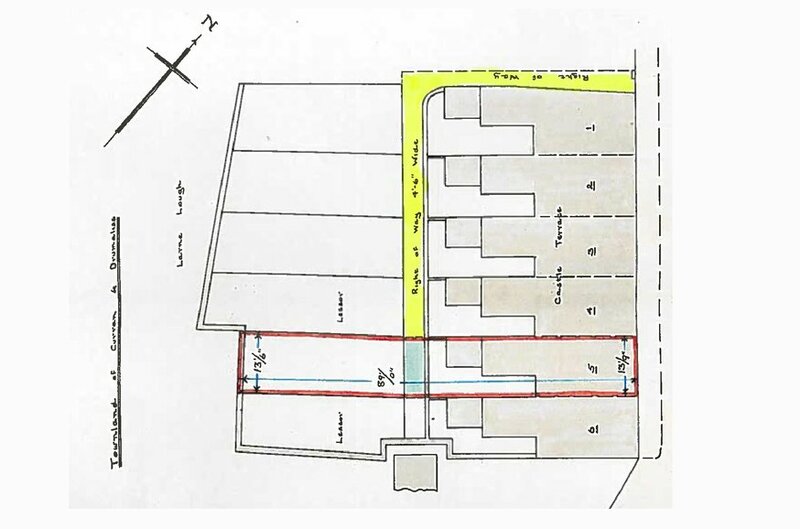 We note that there is a second floor attic room accessed via an opening in the ceiling in the first floor hallway. 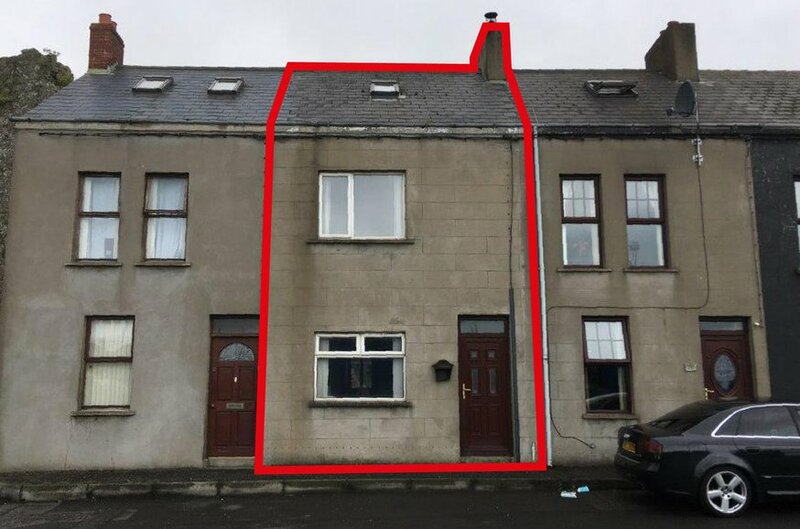 The property also benefits from oil fired central heating and double glazed windows. 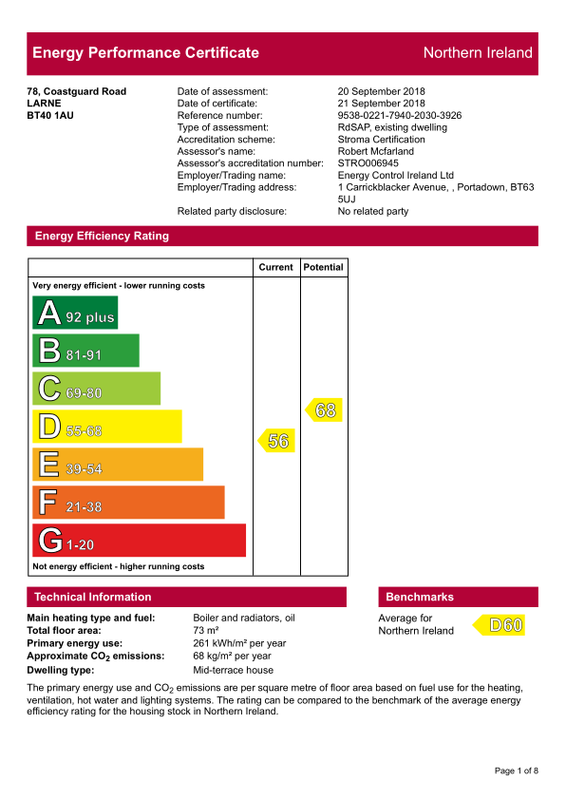 The property has an Energy Efficiency rating of C56. Rates Payable (18-19): £496 per annum.